Though homeopathy was founded by Dr Hahnemann 200 yrs ago and cases has been illustrated in wide range of books, the documentation has not been as perfect when considering the present scenario. There has been utter lack of documentations in major scientific journals including pubmed,Scopus,Web of science. KGHMOA has taken a huge task to document cases and in-turn publish some valid documents in the coming years. The first step has taken place by imparting a well planned training to the doctors of the special project in various government hospitals.The event was named DART-H( Documentation,Analysis and Research Training in Homoeopathy). 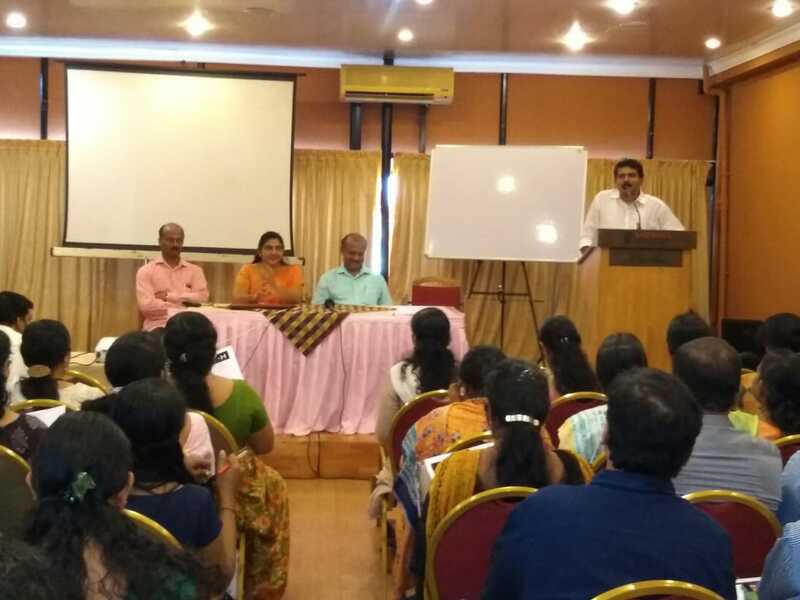 The Event which took place today at Ernakulam was inaugurated by the District Medical Officer -Dr Leena Rani, The president of KGHMOA presided the function, Dr Vinu Krishnan ( scientific Convener) and Dr Boban J (Secretary KGHMOA) spoke on the occasion. The classes were conducted by Dr.Gopikrishan.J PhD of Amritha Centere for nano sciences , Kochi. 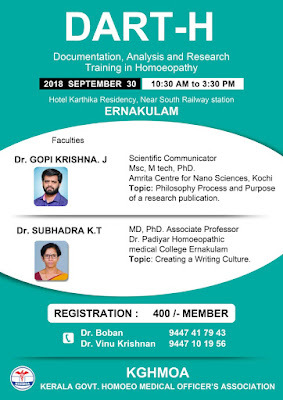 I small session was also handled by Dr.Subhadra K T MD(Hom), PhD the Associate professor Dr Padiar Memorial Homoeopathic Medical college Ernakulam.